Published in Industry Updates on 07/27/2017 by Harry Lew, Chief Content Writer. A new research report from The American College’s New York Life Center for Retirement Income reveals that 75 percent of consumers have an alarmingly low level of retirement literacy. This suggests that life and annuity agents who can bridge the knowledge gap will differentiate themselves competitively in the retirement market of the future. The study, the 2017 RICP Retirement Income Literacy Survey Report, administered 38 questions to 1,244 Americans aged 60 to 75 with at least $100,000 in household assets (not including their primary residence). It found that only 5 percent of consumers scored a B or higher (80 percent on the quiz), with nearly three in four failing. The average score was only 47 percent. Some of the main knowledge gaps involved how to best . . . Preserve assets and maintain sufficient income during retirement: Only 38 percent of the respondents knew that four percent was a prudent retirement-account withdrawal rate. Improve security in the years just before retirement: Fewer than half knew how buying an annuity with part of their money could help them sustain income during a longer-than-anticipated life span. Select investments based on their relative strengths and weaknesses: Just 30 percent knew that actively managed mutual funds have higher fees than exchange traded funds (ETFs). Prepare for the possibility of needing long-term care during retirement: Most underestimated the percentage of the U.S. population that will need help with their activities of daily living (ADLs)—70 percent of Americans overall. 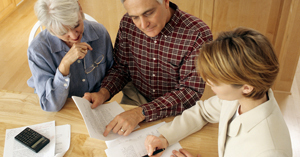 Alarmingly, the study found that consumer annuity knowledge was especially weak. This is a concern because annuities are an essential vehicle for generating guaranteed retirement income. Specifically, the survey found that only . . .
29 percent of consumers knew that buying an immediate annuity would be more expensive for a younger person than for an older one. 17 percent of the consumers knew that the lifetime income payout rate for a 65-year-old male is roughly 6 to 7 percent. 14 percent knew that a deferred annuity with guaranteed lifetime withdrawal benefits could pay income even if the account values drops to zero. Given these findings, life/annuity agents who can execute a strong retirement-education program—via public seminars, client newsletters, etc.—combined with a strong annuity marketing and sales effort, should have a leg up in the marketplace. Clearly, based on the survey findings, retirement education needs a lot of work. But agents and advisors are in the ideal position to make a difference.